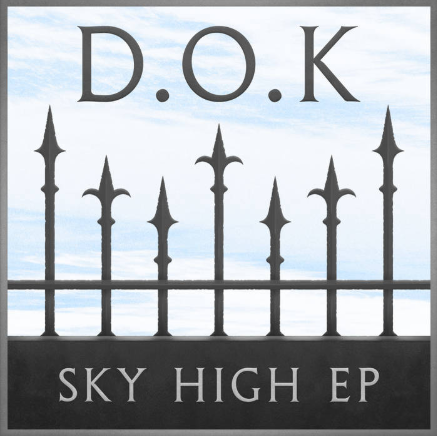 Newham producer, D.O.K (the mastermind behind Crazy Titch's "I Can C U") has blessed us with an exciting mix of savage and sinister beats via his Sky High EP. Before we go any further, you are advised to return after listening to the madness that is, "Step Ina War" - i.e. a perfection of noise organisation. The former member of Aftershock, creates the entirety of this release with a skilled knowledge and execution of how to flawlessly match vocal samples and instrumentation. As samples cover many of the 5 riddims present in this EP, they elevate a layer of interest about each record although do not overpower or become too complex so as to steal the limelight, for too long, away from the crisp drum samples and VST instruments. Such instrumentation that consist of an authentic grime feel – slightly not as grainy but still with familiar synth sounds, ghostly strings and rough basses. The beats as a whole, showcase this same element of minimalism, however not in the sense that they are unlayered or lack features. They allow a variety of well created and collected sounds to combined, in order to harvest something strong, sonically pleasing and great to listen to, in and of itself. All the while sustaining a nice balance of not sounding too cluttered, and leaving just the right amount of room for an MC to jump into the mix. All beats are hard but, in my opinion, two harder than the rest – from my impatient intro, one can probably be guessed. Be sure to check out this latest release from an excellent producer and previous, Efed Up EP, whilst we stay eager to hear one of these beats get covered by some lyrics - for some inspiration, check D.O.K mix "That's Not Me" acapella into one of these bangers.